FURTHER UPDATE, Monday 8th April: tickets are likely to sell out in the coming days. Over the weekend we released details of a stellar line-up of presenters for our researchED event on Saturday 5th October. 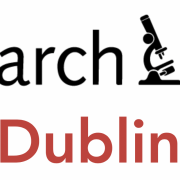 This is the organisation’s first-ever event in Dublin, in a year which sees it represented in the UK, Dubai, the USA, the Netherlands, Switzerland, Italy, South Africa and Chile. It’s truly an international phenomenon now. Check out the researchED website for more, and see our own event page here. So far the following are coming: Keep an eye on the event page, and our own, as well as @researchEDDub on Twitter, for more announcements and a link to tickets when they go on sale. Neil Almond, @Mr_AlmondED, Inner city London primary teacher. Pedro de Bruyckere | @thebandb | Educational scientist, teacher & researcher, Author of The Ingredients for Great Teaching. David Didau, @DavidDidau, education writer and speaker, Author of Making Kids Cleverer: A manifesto for closing the advantage gap. Carl Hendrick, @C_Hendrick, Head of Learning and Research, Wellington College, Berkshire. Humphrey Jones, @humphreyjones, Head of Biology, St Columba’s College, Dublin. Peter Lydon, @peter_lydon, Wesley College, Dublin; President of Association of Geography Teachers of Ireland. Paul Kirschner, @P_A_Kirschner, Distinguished University Professor at the Open University of the Netherlands. Ann Marcus-Quinn, @A_MQ, Lecturer in Technical Communication and Instructional Design, University of Limerick. James McCoy, @DrTJEckleburg25, Vice-Principal, Markethill High School, Co Armagh. Conor Murphy, @conorsmurf, Skibberreen Community School, Cork. Sandrine Pac-Kenny, @sandrinepk, Post-Primary Languages Initiative, Wexford. Alex Quigley | @HuntingEnglish | Senior Associate at the Education Endowment Foundation. Author of Closing the Vocabulary Gap. Tom Sherrington, @teacherhead, Consultant, Author of The Learning Rainforest: Great Teaching in Real Classrooms. Mary Singleton, Head of Science and Director of Studies, St Columba’s College, Dublin.